Keep drinking water safe, and your home's pipes and systems clean with sediment filters, ultraviolet light filters and water neutralizers and softeners from AVS Plumbing & Heating. 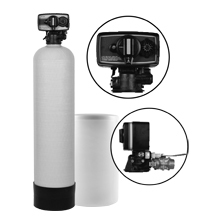 If you can see particles in your drinking water, you can bet that you are in need of a sediment filter. Even if you don’t see these particles, there could be trace amounts of contaminants in your water supply. The EPA has determined that there are five different types of contaminants in sediment including elements such as oil, arsenic, ammonia and petroleum. 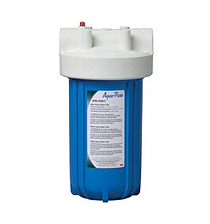 AVS Plumbing & Heating carries high quality sediment filters from Aqua-Pure and Rusco. If you are concerned about the quality of your water, contact us today to have a water test conducted. After determining the health of your water, we can recommend that type of sediment filter that is right for you. Ultraviolet systems use special lamps or bulbs that emit UV light to zap water contaminants. The ultraviolet energy attacks microorganisms eliminating their ability to function and reproduce. If a microorganism can no longer reproduce, it cannot infect other organisms with which it has contact. The process is highly effective, destroying 99.99 percent of harmful microorganisms without adding chemicals such as chlorine to the water. For over 25 years, UV technology has been a safe and cost-effective way to purify water and eliminate harmful microorganisms. It is a proven method, currently being used by bottled water manufacturers, cities, and homeowners around the globe. AVS Plumbing & Heating installs UV water filters from Sterilight, one of the top names in UV water purification for homeowners. Contact us today to learn more about how ultraviolet light water filtration can work for you. When water has a pH balance that is low (below 7.0), it can cause damage to the pipes in your home. Additionally, if you have hard water — water that contains high amounts of minerals — your internal plumbing systems are at risk of damage from calcification. In order to maintain the proper balance of pH and minerals in your water, neutralizers and softeners can be used. 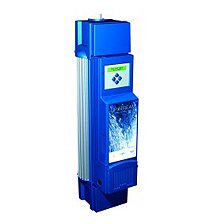 Water Tender makes water neutralizers and softeners that can restore the proper balance to the water in your home. If you are concerned that your water is out of balance, or have experienced signs such as calcium deposits on shower heads and faucet filters, contact the experts at AVS Plumbing & Heating. We can test your water to determine whether or not it is in need of neutralization and/or softening to restore balance. AVS Plumbing & Heating services Howard County and Carroll County in Maryland. To find out which water treatment products are right for you, contact us today at 410-442-2221. The Environmental Protection Agency (EPA) regulates our nation's drinking water through the National Primary Drinking Water Regulations (NPDWRs or primary standards). These regulations are legally enforceable standards that apply to public water systems. 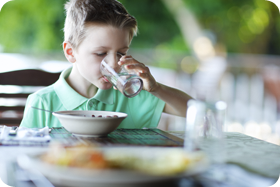 Primary standards protect public health by limiting the levels of contaminants in drinking water.